David Suzuki is an internationally famous geneticist and environmentalist with some forty books, and numerous prizes, to his name. 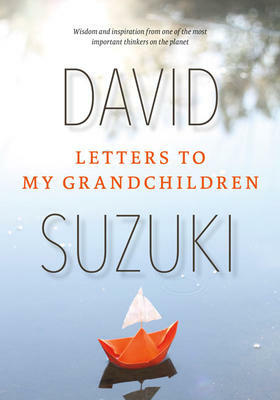 In this book he takes quite a different line and writes letters to his two sets of grandchildren that are warm and touching in the memories he shares. His family (grandparents) came from Japan between 1904 and 1908 and settled in Vancouver. They had left extreme poverty and were making a living in B.C. until World War ll broke out and the government incarcerated all Japanese for the duration. One set of grandparents returned to Japan after the war only to die within the year in Hiroshima. David Suzuki made it, however. He showed keen interest in all his academic studies with his marks enabling him to study medicine. By this time he had fallen in love with genetics and he would pursue this, along with a passion for the environment, that has made him world-famous. In these letters he writes to two sets of grandchildren. When his first wife died, he married into a Haida First Nations family. He met “elders” for the first time and then became an elder himself, of which he is very proud and writes of the importance for families to keep close and share their wisdom. He urges his grandchildren to find their goals and stick to them. He calls them the legacy of which he is most proud and happy. It is altogether a charming book.